Buy the Stevie Tunic sewing pattern from Tilly and the Buttons. 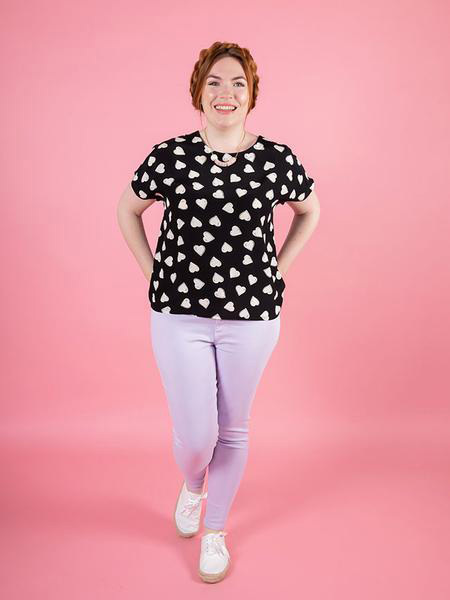 With no darts, zips or set-in sleeves, Stevie is a satisfyingly quick and easy make – yay! 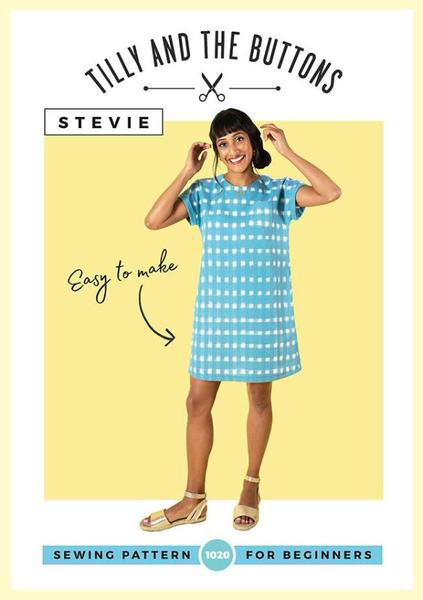 Stevie has a modern, boxy fit, with round neckline and kimono sleeves, closing at the back with pretty ties or button loop. Make as a top with cropped hemline that hits the high hip, or above-the-knee dress length, with optional turn-up cuffs and patch pocket. Throw it on with a statement necklace and you’re good to go! 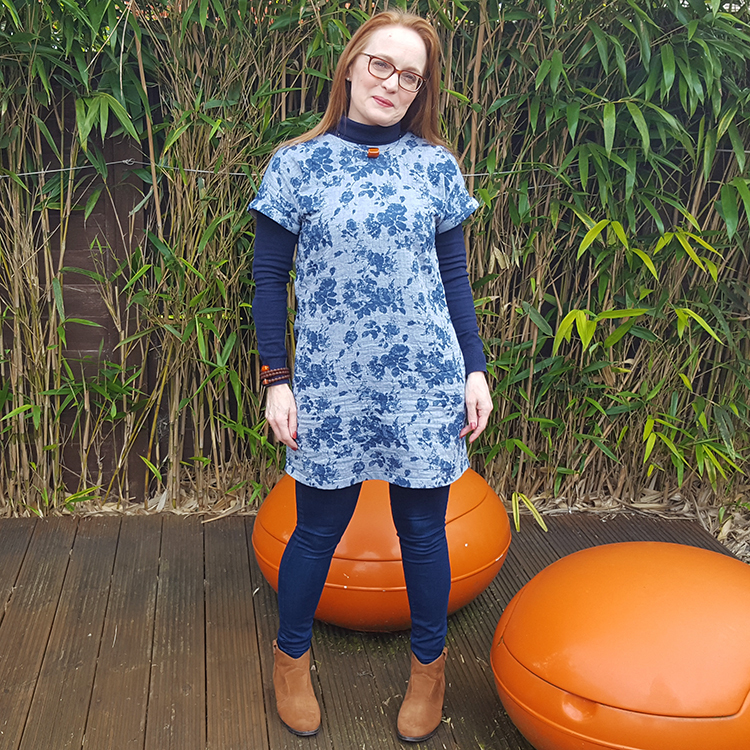 What we think: a great beginner’s dressmaking project. With no sleeves to insert, construction is easy and there is the option to make a top version as well. 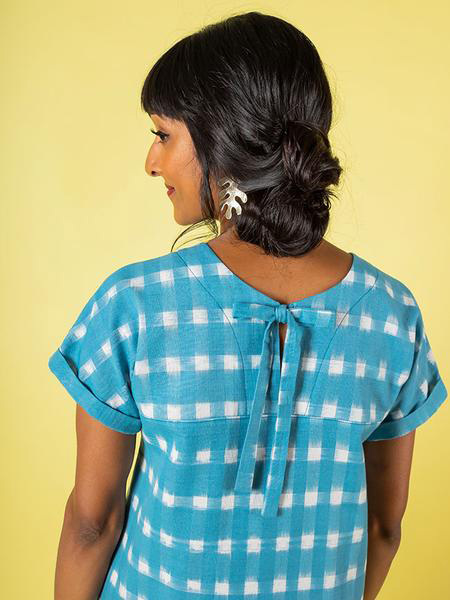 The cute ribbon closure detail at the back neckline gives this simple pattern the edge! Another lovely pattern from Tilly and the Buttons – but I nearly passed this one by. 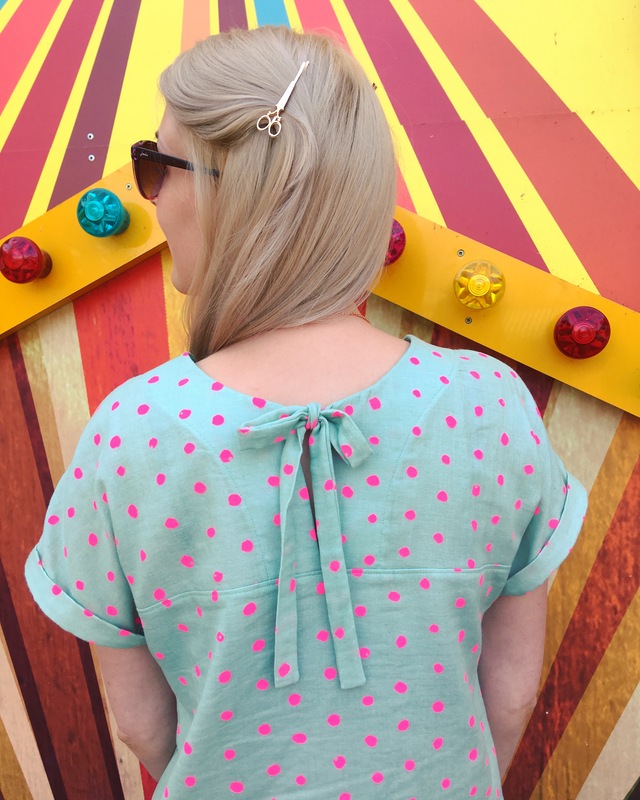 I wasn’t at all sure it would suit my frame, and it wasn’t until I saw the reviews from others (and people at the Sewing Weekender wearing them) that I changed my mind. 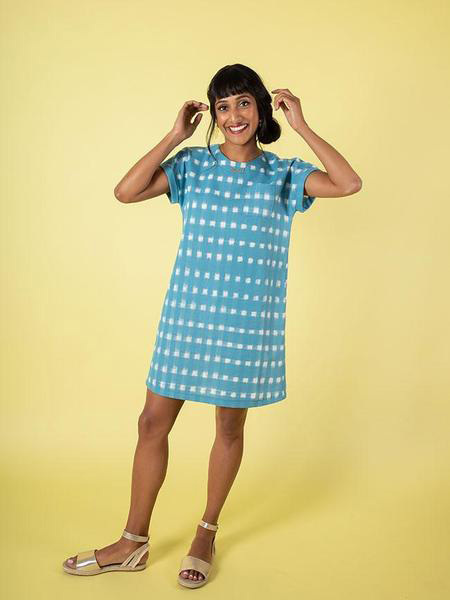 I think it’d be important to find the right fabric to really love this dress though. 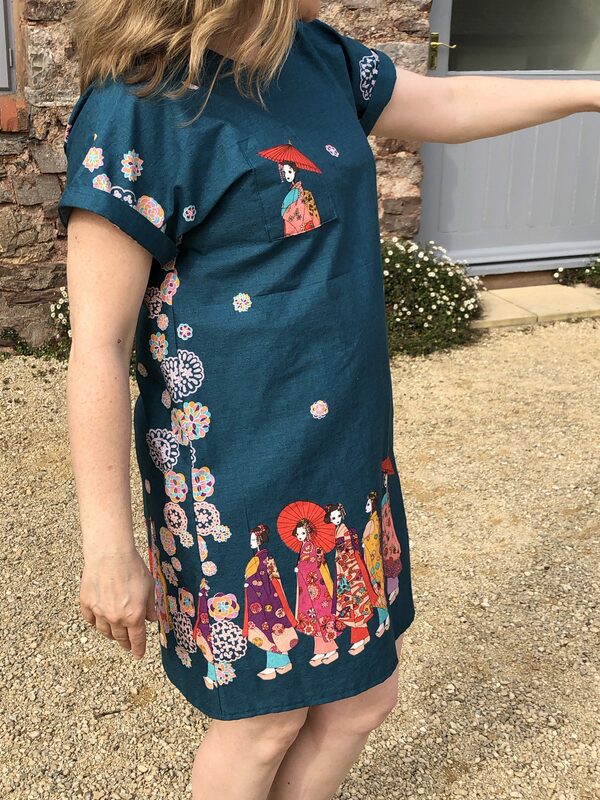 Fortunately I’d been gifted this amazing teal Japanese print, with a procession of ladies along one edge and I love the way it works with the pattern. 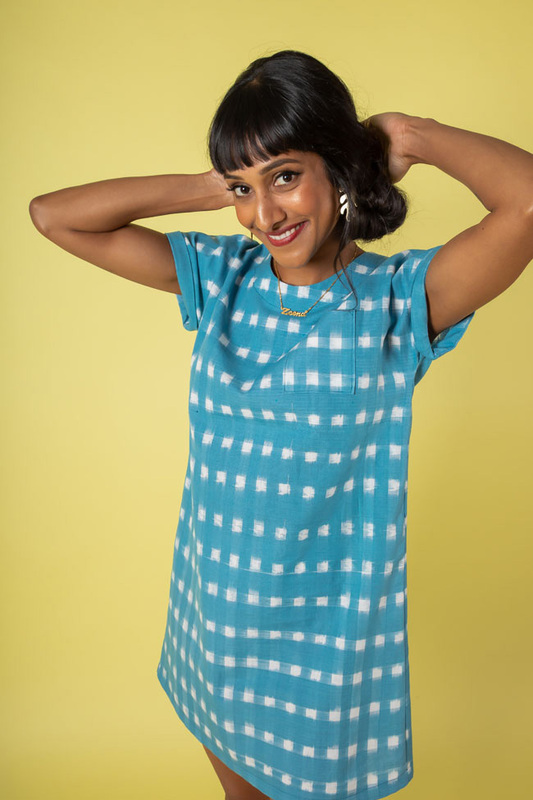 Without any darts to interrupt the pattern, the simple design works really well with an interesting print – but I’d suggest a soft, slightly drapey fabric works well to keep the shape flattering. I’d definitely say this pattern would suit any level of experience, as the instructions are very clear with photos and hints to take you through the different stages. 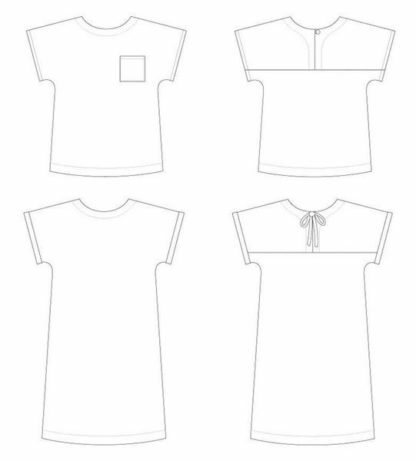 There are no complicated closings (buttons, zips etc). If you’re tempted for a quick summer make now the sun has made an appearance, this is a great option. 5 out of 5	Super Speedy Stevie! 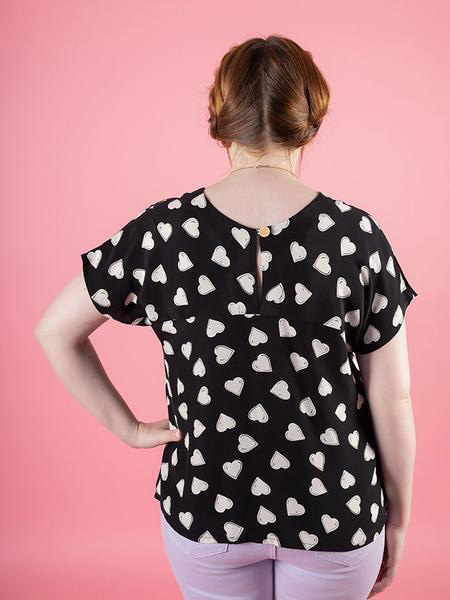 There are very few patterns that I get so excited about that I make one garment immediately after the first! 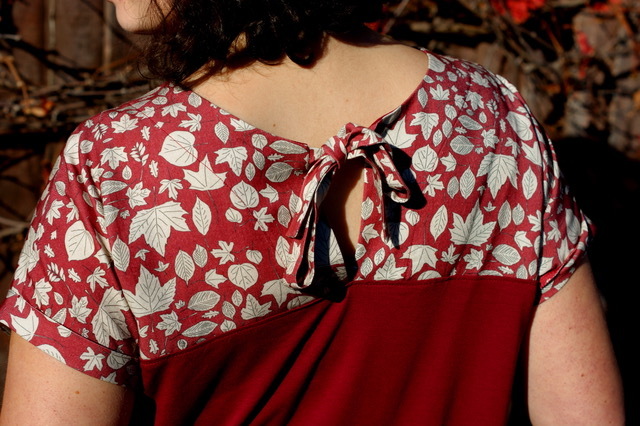 I had no idea how much I would love it until I sewed up the first one so quickly and tried it on. This is such an easy look to dress up or down, and the whole vibe changes depending on your fabric choice! 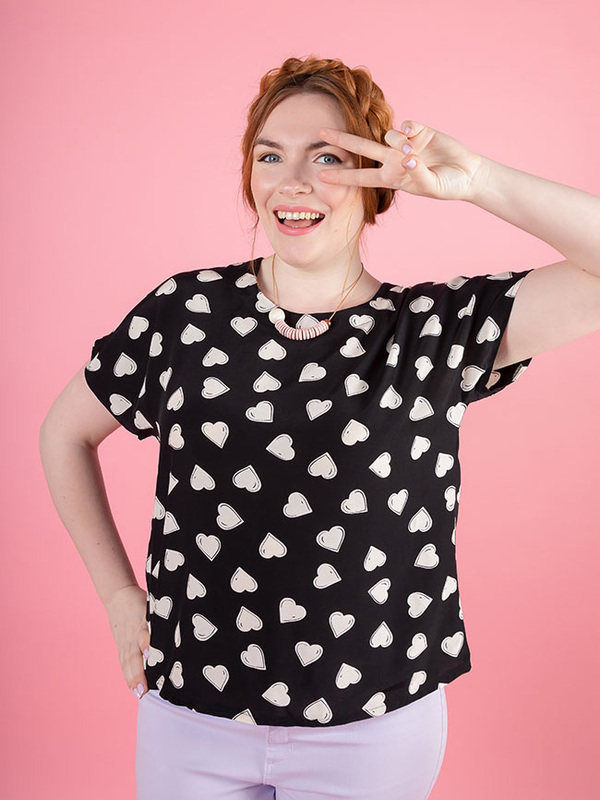 This pattern is a super quick sew, maybe about 1-2 hours total depending on your confidence level. I made it up in two types of fabric, one stretch crepe and one woven cotton from IKEA and both came out beautifully! 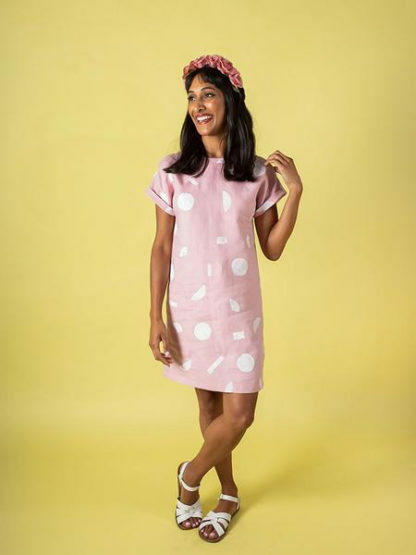 I will say that this dress runs a little large. If I were to go based off of my measurements, I would definitely be a size 6. The size 6 was huge so I took off probably over an inch on each side seam. 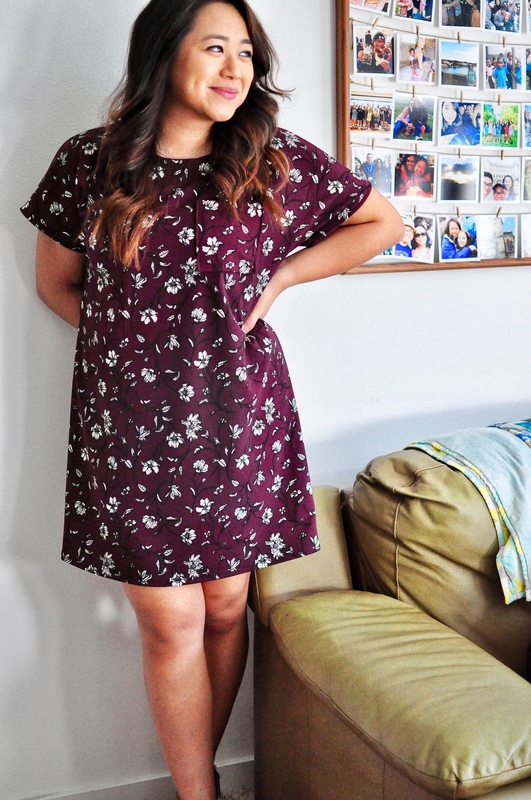 For the second dress, I made a size 5, which as was still too big, so I may try out a size 4 and see what happens. 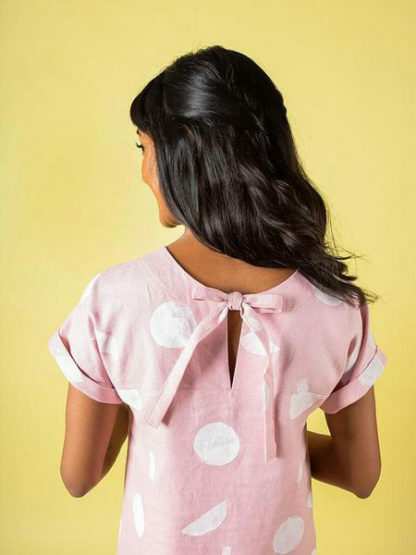 I will *for sure* be making this dress again – probably several times over. I cannot recommend this dress enough. For more pictures and a few more details, check out my blog! 5 out of 5	Perfect Scrapbuster! I absolutely love this pattern, I’ve made two so far and can see several more in the future. It was easy to construct and I love how easy it is to wear. I also found that it was a great scrapbuster for small pieces I had lying around if I colourblocked the back. 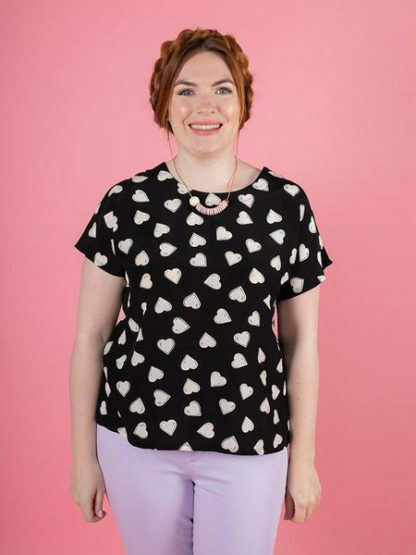 This is definitely the pattern I will be recommending to beginner seamstresses for a great first garment! 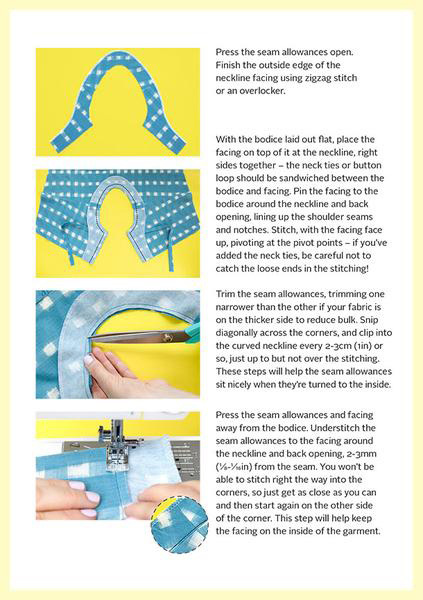 5 out of 5	Perfect beginner or super speedy project! I made two of these in the summer and wore them both constantly. They’re quick to assemble and have infinite hacking potential. As always, the instructions are clear and helpful and the top stitched facing gives a lovely clean finish. 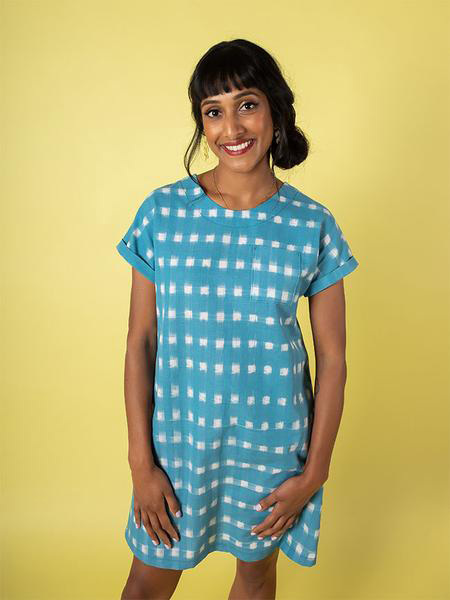 I chose a Nani Iro double gauze (from Sew Me Sunshine) which was lovely and cool to wear, and didn’t crease as much as cotton or cotton lawn. I’m planning to make a medium weight denim or corduroy version for Autumn/Winter. 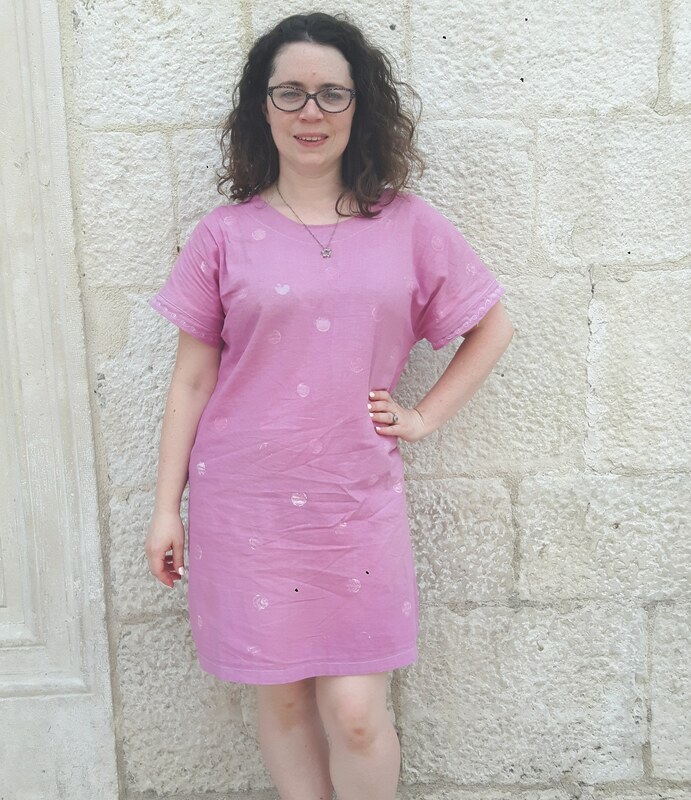 I made this Stevie Tunic in linen. It was originally pale green, but it looked a little like a hospital gown, so I decided to print with fabric paint, but I wasn’t overly happy, so I dyed it with a bottle of Rit dye. My first bash at dying! I then added a few more fabric paint splodges. The pattern is great for beginners with clear photos and instructions.